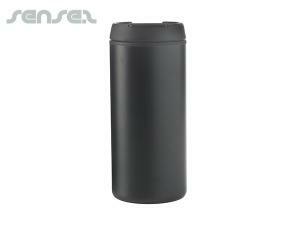 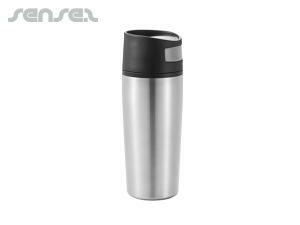 Nothing suitable in promotional stainless steel mugs? 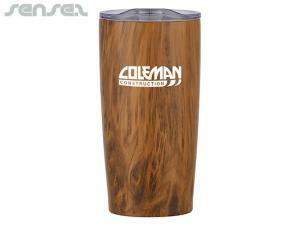 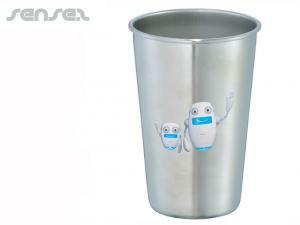 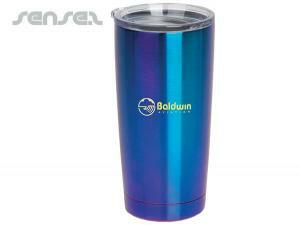 Promotional stainless steel mugs are great corporate and executive gifts. 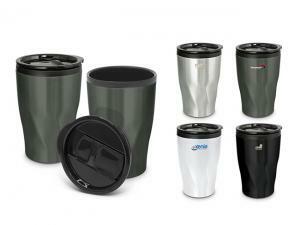 Steel coffee mugs are long lasting and endure any treatment at the office they are simply indestructible! 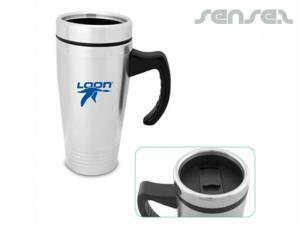 Stainless steel coffee mugs are a keepsake and will make a fantastic corporate gift. 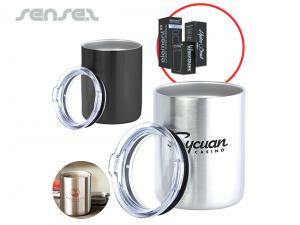 Promotional stainless steel coffee mugs are ideal for around the office and make perfect business to business corporate gifts. 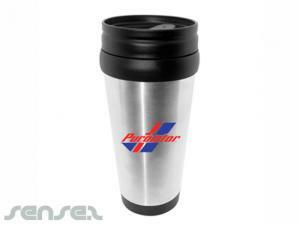 Stainless steel mugs are used for a long time and make that initial expense a cheap one over time. 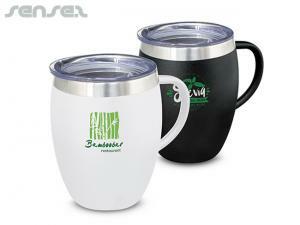 Unlike ceramic mugs stainless steel mugs simply won't break which means your logo will stick around the office environment for a long time. 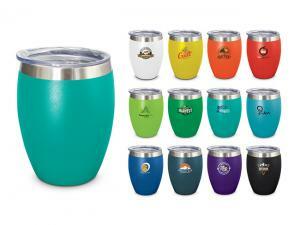 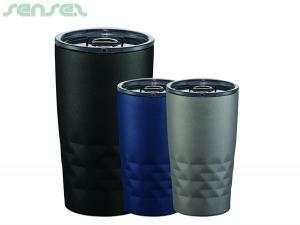 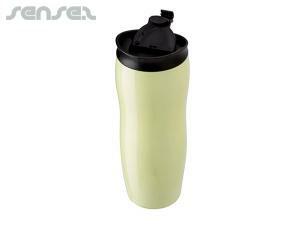 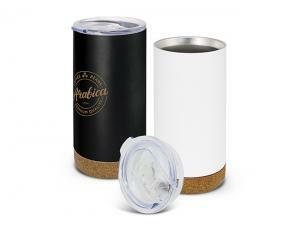 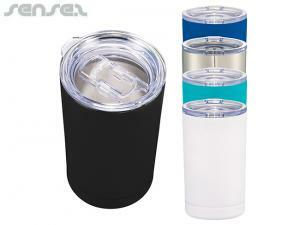 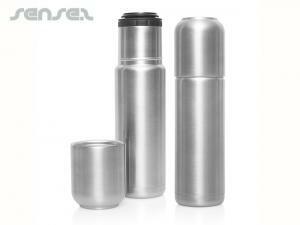 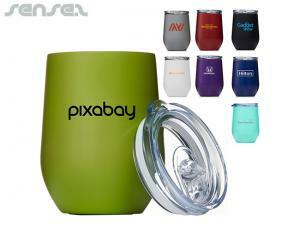 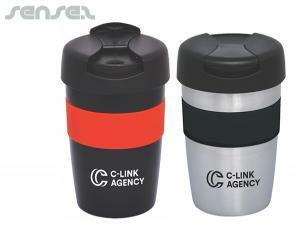 Promotional Insulated travel mugs are also ideal for the trip to the office or for around the office. 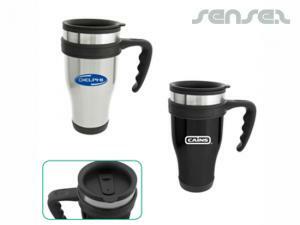 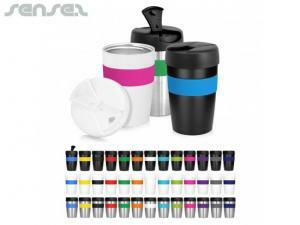 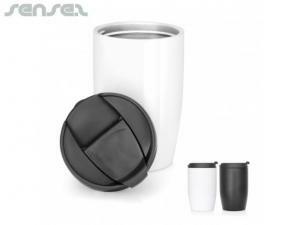 Choose from Sense2's extensive unique range of custom logo branded stainless steel mugs, corporate stainless steel mugs, engraved stainless steel mugs. 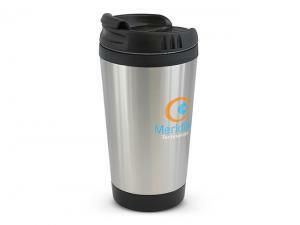 Stainless steel travel mugs make great corporate merchandise especially in today's environment of using non disposable cups. 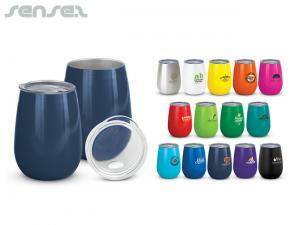 They help keep drinks warm and have a great high quality feel to them. 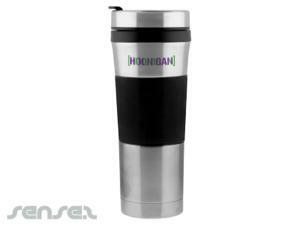 Logo engraved or printed stainless steel mugs, branded stainless steel mugs, corporate stainless steel mugs, logo engraved stainless steel mugs are effective coporate gifts or gift with purchase and are used for a long time. 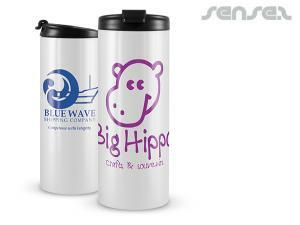 They display your brand on the office desk or in the home environment and will keep your logo or corporate message before their eyes for as long as possible.